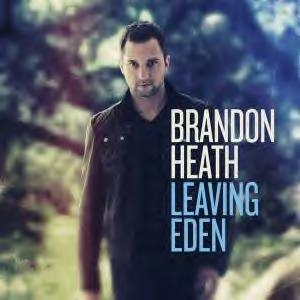 Brandon Heath is Leaving Eden! Well, it’s been a long wait–nearly a year and half. But Brandon Heath’s new album , Leaving Eden, is finally available today. Thanks to a friend of mine, I received a sneak preview of this album about 6 weeks ago. What does that mean for you? Well, it means I can recommend this album without reservation–because it’s still in my cd player, still playing through day after day. The title track kicks off this album perfectly. It’s an exploration of the things that make this world hard. Brandon sings about his neighbor forgetting her own name among other heart-breaking moments of life. But somehow, when he sings about “going home,” the hope in his voice is nearly tangible. The first single off the album has been getting some mega radio play. For good reason. This catchy song sums up the theme of entire LP. Check out the song here. I get chills every time Brandon hits the third verse of this song, as he begins singing about how Jesus was at a wedding that had run out of wine, speaking of the first miracle of Jesus recorded in the gospels. “They said he was just a man. That’s where it all began. It was only water.” A very chill song, that’s worth listening to time and again. As relaxed as Only Water is, Stolen is the opposite–an intense tune about the unrelenting love of God. The chorus is beyond catchy and is such a strong reminder that God pursues our hearts because he loves us and longs to be in relationship with us. Well, those are my favorites on the record, but don’t miss As Long as I’m Here (the last song), the smooth Now More Than Ever, and the TobyMac sound-alike It’s No Good. You can listen to samples at CBD.com or buy it there or at iTunes or wherever you like to get your music, if I’ve convinced you already. It’s well-worth the investment. Tell me if you do pick it up. I’d love to hear what you think! If you’ve read my newest book, Vanishing Act, you’ve met Nate Andersen, FBI hero extraordinaire. Nate is just the right amount of tough guy and sensitive spirit. In fact, it’s his sensitive side that makes him decide not to pursue Danielle Keating because he feels sure that he’ll break her heart. He’s certain that he’ll repeat past mistakes and continue a legacy he’d rather forget. And while that wasn’t always part of Nate’s story and developed as I explored the story, there is one thing about Nate that never changed. His face. From the moment I met Nate as I was writing The Kidnapping of Kenzie Thorn, I knew that Nate looked just like my favorite musician. 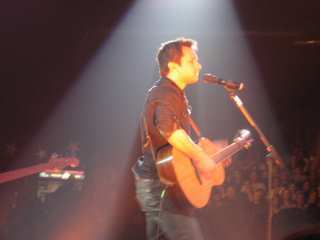 Brandon Heath. And this week, I got to meet Nate’s real life counterpart. Brandon was playing at the Bluebird in Nashville, and my sweet friend Katie got us reservations to see the awesome show. The Bluebird holds about 75 people, so after the show I found my way over to Brandon, gave him a signed copy of Vanishing Act, and got him to sign a copy of VA back to me! And get this … he said his mom named him after the hero in a romance novel! I love it! So what was it like to meet kind-of-Nate in real life? Two words. AWE. SOME. Brandon was excellent! Super-genuine and just so kind. In such an intimate venue, his amazing talent was even more evident than usual. He’ll be a favorite of mine for ages! And not just because he seemed genuinely honored to be the face of my hero. 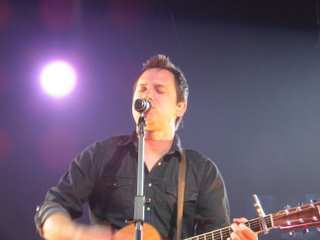 I figure it’s about time for a Brandon Heath moment. Seriously … it’s been far too long, and now that I live in the same city as him, it seems like we should have these more often. And since Vanishing Act appeared this weekend, I thought it was the perfect time for just such a moment. 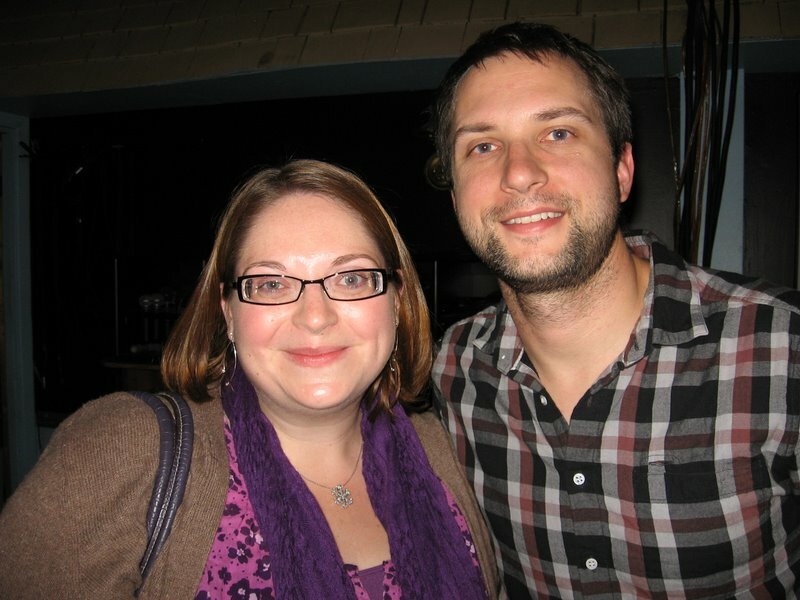 What does Brandon Heath have to do with my new book? More than you might think. No, he hasn’t endorsed it yet. (Amy, that’s a nudge to you, to help Brandon with that little task.) 🙂 But he is the model for my hero, Special Agent in Charge Nate Andersen. And wouldn’t you know it, I’ve had a BHeath song going through my mind. All week. The only problem is that it’s not been released yet. I’ve heard him perform it twice, and I LOVE it. I’m hoping it’ll be on his new album this fall. But for now my only option is to look it up on YouTube. So here’s the only video I can find of “Only Water.” Enjoy! So my friend Ashley told me about this great online concert/chat tomorrow night. Check out the Live Online Mocha Club Event for only $1.50 to support clean water for Africa. More details below, or visit Brandon’s website at www.brandonheath.net for an awesome promo video including Brandon’s new beard. Ewww!!! I LOVE going to concerts. Especially when I love the groups performing. 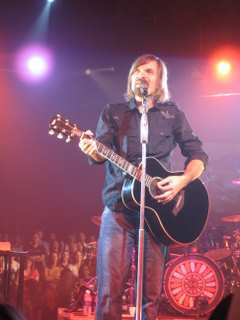 Enter Revive, Brandon Heath, and Third Day! So last Thursday my mom and I took off for Phoenix to see these guys perform at the Celebrity Theater, one of the coolest venues ever. The stage is in the middle of the room and the seats go all the way around. And the stage spins. Check it out in this clip. So as if the venue isn’t cool enough, we were sitting in the 3rd row. Literally 10 feet from the groups as they performed. The theater tauts itself as the most intimate theater experience in the valley (Phoenix), and it totally is! I got some great pictures and loved being so close even when we were looking at the “back” of the stage. I warned mom that she might want to get some ear plugs. But she didn’t bring any. The show was LOUD, but amazingly wonderful. Here’s a snippet from the actual show that we were at. And of course, my main reason for going was actually Brandon Heath. Nothing surprising there. Except that he was more wonderful than I even hoped he’d be! And I know Amy is going to ask about Joe. He was fantastic too! 🙂 Here’s a clip from the show of Brandon. Brandon closed out his set with a song called Soldier. I’d never heard it before, and it was really great! Here’s a clip of him singing it several years back. I’m pretty sure it was on one of his first independent albums. I’m hoping I can find it on iTunes or something because I need it on my iPod. So I really love concerts. I love the noise and the excitement in the air. The freedom to dance like a crazy woman and have no one think any the less of me. The fun of hooting and hollering after my favorite songs and at my favorite performers. But most of all, I love how God always unexpectedly gets a hold of me. Take for example this show. There a was a young man with Down’s syndrome just a few seats over from me who quite verbally expressed his disinterest in Brandon. 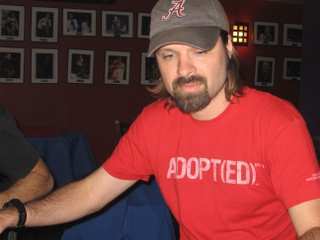 He was there to see Third Day and just wanted them to perform. I on the other hand really wanted to see and enjoy Brandon. I found myself getting irked that he was stealing a bit of my enjoyment of the show and irked at his dad who was with him for not quieting him. And then Brandon began “Give Me Your Eyes” and my heart squeezed. I’d been doing a terrible job of seeing this young man through God’s eyes. I needed to have love and concern for my neighbors. My heart softened and I found myself enjoying the show even more. I love it when God does stuff like that. Anyway, here are a few more pics that I took at the meet and greet and during the show. Hope you enjoy. I'm quite possibly the worst photographer ever! Do you tweet? As you’ve likely noticed in the far right column, I tweet pretty regularly. Don’t know what tweeting is? Haven’t heard of twitter? It’s a social networking site–of sorts. It allows you to, in no more than 140 characters, answer the question: What are you doing? It’s a snippet of insight into daily life on potentially a minute by minute basis. While it’s been accused of being a rather self-centered invention, I love it, not because I get to talk about myself, but because I get to follow some of my favorites. It’s amazing what you can learn about people just by the way that they twitter. For example, I follow Mark Batterson, pastor of National Community Church in Washington, DC, and an author that I had the privilege of working with on his last book Wild Goose Chase. So what have I learned about Mark in 140 character incriments? The man is a twitter maniac. He tweets more than anyone else I follow. He loves good food, and oh, he has some amazing spiritual insights. I also follow Jess Barnes and Rachel, who are both quite funny. I love hearing a bit more about their day to day lives, not to mention whatever new fandom they’ve discovered. They are wonderful to follow! 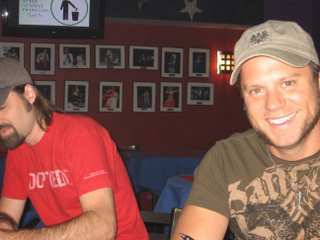 Speaking of legal stalking, I absolutely follow Brandon Heath. How could I not? He’s not s super-regular tweeter, but it cracks me up everytime he says something about being somewhere cool or meeting cool people like Bob Barker then says “Is this my life?” Yes, Brandon, in 140 characters this is your life. Now I love tweeting, and I love following new and old friends. But I really love seeing who ends up following me. For example, after I tweeted about watching Brandon Heath on CBN’s 700 Club, the CBNProducers started following me. Then I tweeted about the lost library book saga, and who started following me? The PPLD (Pikes Peak Library District)! They even congratulated me on finding my lost book when I returned it. It kind of cracks me up! If you’re not tweeting, then maybe you should be. When you start, give me a shout out, and I’ll follow you too! So I heard that Brandon was interviewed last week for CBS Evening News, and I was looking forward to watching the segment. But when I watched it, it was so not what I was expecting. The segment is on how Americans are losing their religion. A pastor of a “non-demoninational” church is interviewed almost as if attendees of a non-denom don’t consider themselves traditional Christians. Anyway, as a whole, it just made me sad. I could go on and on, but I’ll just let you watch the video and offer your thoughts if you like. It was 11:40p.m. on Monday night of this week. I had turned off my light, closed my book, and pulled my quilt up to my chin just ten minutes earlier. My eyes were closed, and I was in that wonderful state between sleep and wake. And then my cell phone let out a horridly pathetic beep, telling me that it was dying and desperately needed a charge. I knew it would keep going all night if I didn’t get up and plug it in, but I still grumbled to myself as I turned my light back on and scavanged for my glasses. I had barely jammed them on my face , when my phone beeped again. But this one was stronger. An alert to the text message I had just received. Who was sending me a text message at 11:40 at night? My sister-in-law Beth. That’s who. I was irked for second, then I thought maybe it was a cute picture of my niece or nephew. It was not. But then I remembered that Arizona does’nt observe daylight savings time, so she probably forgot that Colorado is now an hour a head of them. No problem. I’d get back to her in the morning, but I decided to check the messages to make sure it wasn’t really important. But the moment I opened it up the instense organ strains of The Pantom of the Opera pelted out of my little pink phone. A Phantom ring tone, just for me! Is my family cool, or what? As for me, I’m just stoked with Phantom. I’m sure there’ll need to be a Brandon Heath ring tone soon. Probably even a Third Day and Chris Tomlin too. But it’s all thanks to my coolest sister-in-law, who is he only girl in the world I’d want to share a name with! A big shout out to Beth (and Micah too, just by proximity). Miss you guys! See you in April. You’re thinking … not another post about Brandon Heath! When will this girl ever stop with the BH posts? And I’m thinking … maybe I should have dedicated this blog to all things BH. I seem to have at least a post a week about the guy. But alas … I’m not going to stop posting about BH any time soon. And I’m also not going to dedicate the entire blog to him … although … that does have possibilities. But then I wouldn’t be able to write about my other favorite things and my writing and my book and my short stories. So all-in-all, you’re pretty much stuck with BH, while I’m stuck on BH. 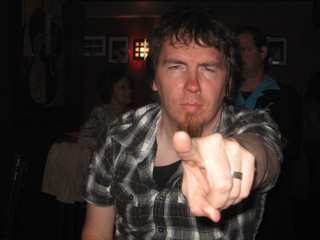 So this is just a quick note to let you know he was nominated for 2 Grammy Awards this last weekend. While he didn’t win in either category, the New York Times sure thinks he’s worth watching. Click on the pic below to read the NYT article about the nominees to watch. 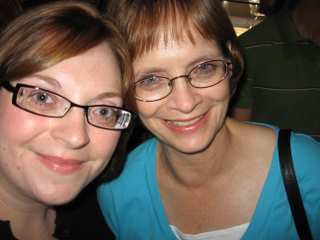 Brandon Heath and Third Day … Here We Come! Here’s hoping Mom actually listens to them so she’s ready for the show! In honor of Third Day’s new album Revelation (which I’ve been rocking out to in my car, on my ipod at work, and at the gym), a video that I think sums it up better than I ever could.